Now that the Cancun-Gatwick route is launched, Virgin Holidays is aiming to triple its annual passenger numbers to Cancun to 30,000 over the next three years. 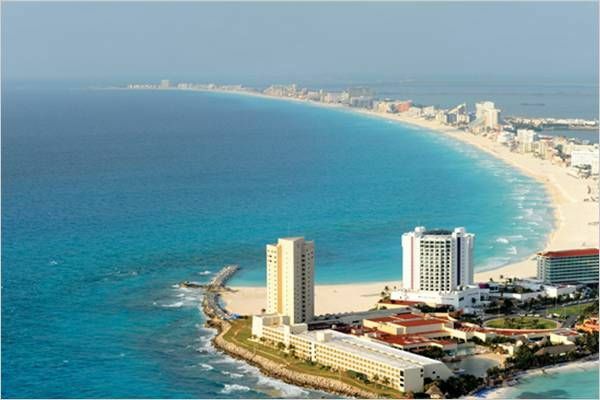 The growing popularity of Cancun has led to set such a target. Informing more about it, Virgin Holidays managing director Amanda Wills said that they gave themselves a target of 6,000 for this year when they put it on sale in August, and they've already sold over 8,000. They expect to reach 10,000. She also added that this is a destination with great potential. Wills said she expected the increase to come mainly from new customers. Cancun had a reputation as a charter destination, and with Virgin Atlantic coming on the route new customers are bound to be attracted. This will have a direct impact on the towns close to Cancun such as Playa del Carmen, Tulum, and Akumal which will also draw more visitors spurring a growth in regions infrastructure, real estate and job. Virgin Atlantic's first flight touched down Cancun on 7th of this month and will operate flights twice a week from Gatwick, carrying 75,000 passengers a year initially. President Sir Richard Branson expects this number to increase over the years to come. Virgin Atlantic chief executive Steve Ridgway added that they plan to increase flights in winter 2013." The airline will operate the route with its fleet of 747s, which are being given a £50 million facelift with new seats being fitted to premium economy and economy, and new IFE. Wills is confident that Virgin Holidays can hit its 30,000 target without extra flights as Cancun is a value for money holiday destination. The expanded program now features 32 hotels in its mainstream brochure and six in the Hip Hotels program. The average party size is three, and the average stay 11 days, and 60% of stays are on an all-inclusive basis. Warm white sand beaches, crystal clear turquoise waters and the famous Mexican hospitality make this a place unique to holiday and reside. With promising developments and world class infrastructure, Riviera Maya real estate is a great investment.